355mm (14") cut off saw designed to cut all types of ferrous metals. 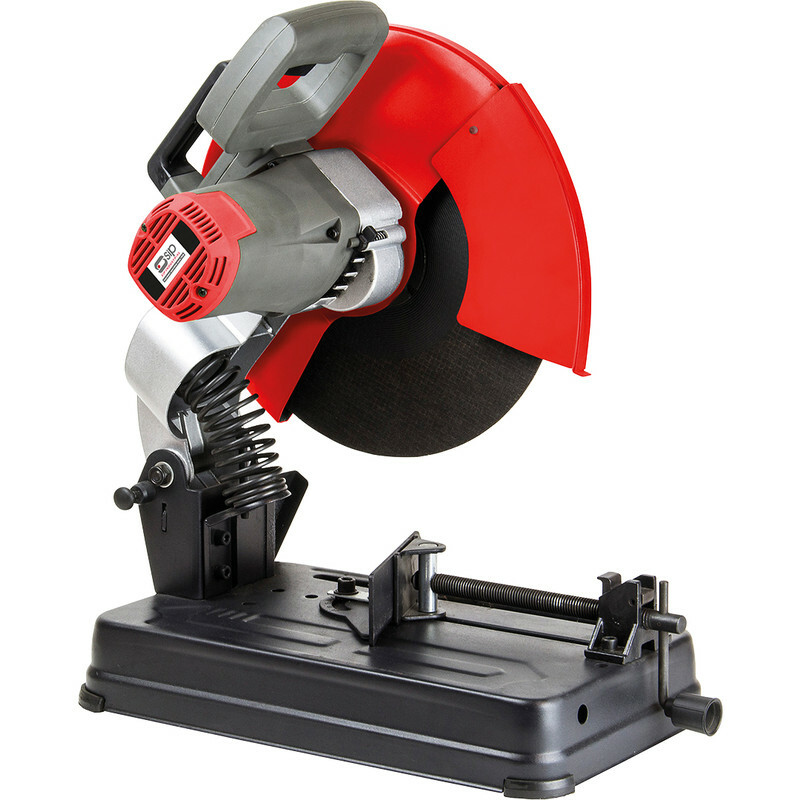 SIP 01308P/01305P 2200W 355mm Abrasive Cut-Off Chop Saw 110V is rated 3.9 out of 5 by 13. Rated 1 out of 5 by Joiner01 from Awful The whole machine is made like an old Lada! Whole machine rattles and thick blade wavers making any accurate work impossible. Rated 2 out of 5 by Holgy from Not enough product information Toolstation rely on their target market understanding 110v wattage and amperage in order to correctly identify whether this tool is appropriate or not. The saw cannot run on standard 110v. Because it is over 1800watts (the limit for a standard 110v plug)~ It requires a bigger 32 amp plug head which you don't usually find on site. I wish this had been clearly stated on the products specification as this would have saved me a lot of time and effort getting the right saw. The evolution Rage 2 110v is far superior and runs on standard 110v. Rated 4 out of 5 by smoothly from SIP 14" Metal Cuttin-Off Saw Bought as mid-price example of tool I have wanted for ages. Firstly, the bad things, mostly to do with printed information: Packing box says "Without Disc" yet one is supplied in the bottom! I bought a 3mm thick disc as this is preferred by a reviewer. To fit/remove blade, book says remove the two swinging guard screws for access. One impossible to shift, but in fact neither need be removed for access. There is an adjustable depth stop which the book makes no mention of, or even figures in the diagram. The stop may have some uses in special operations, but any adjustment of it will stop the machine being locked down in closed position. In use it scores much better! It looks well-made and the quick release vice seems good. I like the soft start motor and being able to stand comfortably and well to one side. The swinging guard which seems flimsy under no load behaves well whilst cutting, relying on clever angles to keep just out of the way. The adjustable spark deflector also seems a useful addition. First impressions and after a small trial lead me to think I have bought a very good product. Rated 5 out of 5 by TabbTech from cuts like a hot knife through butter! I have had this item month now. I have to say at the price I paid i thought it was going to be a bit fisher price!. Having used this non stop for over a month I am impressed.It has not faulted once, I expect many years good service from this saw. Rated 5 out of 5 by Crabby from Decent machine for the price Easy to use, simple design, not too bad on mitre cuts. Included disc isn't great quality but does the job if you're only doing light work. Recommend getting a quality disc if you're doing loads of work on 5mm + steels. Rated 1 out of 5 by al33 from Rubbish, burnt out. Not up to the job, sparks and smoke came out of motor after just 4 cuts of 1 inch steel bars.